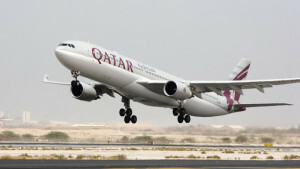 Qatar Airways Monday announced expansion of its flights to Iranian cities despite US sanctions on Iran and floating threats on foreign companies dealing with Tehran. The airline said in a statement it will begin twice-weekly flights to Isfahan in February 2019 and increase existing services to Shiraz and Tehran in January 2019, Qatari London-based media The New Arab reports. “These latest launches are further evidence of Qatar Airways’ commitment to Iran,” the carrier’s Chief Executive, Akbar al-Baker, said. The expansion in the operations flies in the face of US current sanctions on Iran after the US administration slapped tranches of punitive measures on the Iranian regime in August and early November following President Donald Trump’s removal of his country from the 2015 nuclear agreement between Iran and world powers. The sanctions prohibit foreign companies willing to deal with the USA to trade with Tehran. Ties between Qatar and Iran have grown stronger since June last year after Tehran stepped forward to provide food supply to the Gulf country after its neighbors and allies namely Saudi Arabia, United Arab Emirates (UAE), Bahrain plus Egypt severed ties and imposed a sea/air/ground blockade on it. The quartet accuses Doha of supporting terrorism and warming up ties with Iran. Qatar offered to mediate the rivalry between Tehran and Washington, which are both Doha’s allies. Written by: KanelkaTagba on November 27, 2018. Posted by KanelkaTagba on Nov 27 2018. Filed under Gulf News, Headlines. You can follow any responses to this entry through the RSS 2.0. Both comments and pings are currently closed.